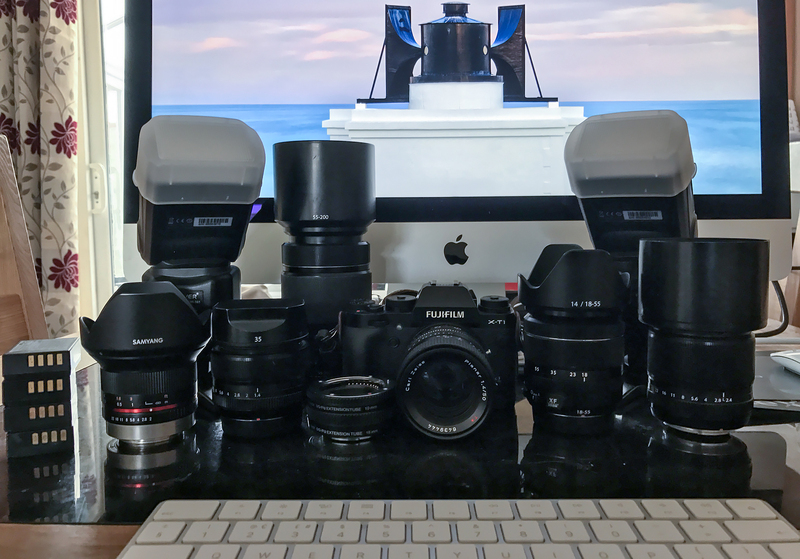 I said I'd shoot a friends wedding and tomorrow is their big day so thought it best to give my lenses a clean, charge up my batteries and get everything organised. I'm picking up a spare X-T1 later from a mate just in case and crossing everything I own that the weather will be decent. 2x Neewer Flashguns - 5 Batteries and 128GB of Cards. Good luck with the wedding-shoot tomorrow! Somebody has been spending MONEY!! Nice Fuji is really stepping up its game what a nice looking system! Have fun BP!